However, except for the harm associated with smoking, the adverse effects of marijuana use are within the range tolerated for other medications. Thus, the safety issues associated with marijuana do not preclude some medical uses. Cannabis is a non-toxic, non-lethal medicine. Researchers have failed to find a lethal acute dosage of cannabis, and have found that the doses of long-term cannabis required to produce toxicity and death in animals were so high it would be nearly impossible for a human to consume such quantities via ingestion or inhalation. 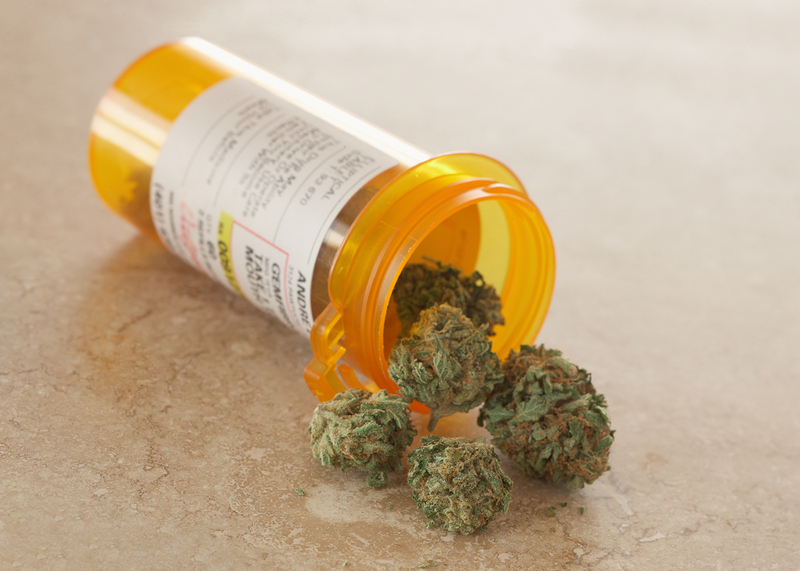 Medical Cannabis users do experience more adverse side effects than patients receiving placebo. According to a recent review article published in the Journal of the American Medical Association, the most commonly reported side effects are dizziness, dry mouth, nausea, fatigue, sleepiness, euphoria (excitement and happiness), depression, vomiting, diarrhea, disorientation, anxiety, confusion, impaired balance, hallucination, and paranoia. Strangely, that review article failed to include impaired short-term memory, a commonly reported side effect (sometimes adverse, sometimes beneficial) in our patients. You may notice that many of the adverse effects reported are the same as the symptoms well-known to be relieved by cannabis. This interesting phenomenon, known as bidirectional effects, is related to the function of the endocannabinoid system (ECS). In order for the ECS to be able to maintain cellular balance, it has the capacity to influence physiology in opposite directions. For example, if there is too much brain activity, cannabinoids can decrease it, but if there’s not enough, cannabinoids can increase activity. By overstimulating the ECS, patients can accidentally trigger or worsen the same symptoms cannabis would otherwise relieve when used correctly. Cannabis can cause temporarily increased heart rate and decreased blood pressure. For most patients, these effects are mild and tolerable. In patients with severely unstable cardiovascular disease (e.g. inability to climb a flight of stairs), these side effects could be harmful. On the other hand, extraordinarily low doses of cannabinoids have been shown to protect the heart from damage during a heart attack. Research has shown that adverse effects are most common in new cannabis users, during stressful environmental conditions, and after consumption of large doses of cannabis. My colleagues and I have found that almost all side effects of cannabis are related to using excessive dosage, and less often, choosing the wrong strain or delivery method. We’ve developed effective solutions to help patients avoid and resolve any side effects they are experiencing. Illicit cannabis use has been shown to cause dependence, but it is likely that appropriate medical use does not carry the same risk. Even so, the rates are modest, with 9% of illicit cannabis users becoming dependent, compared to 15% of alcohol users or 32% of nicotine users. The addictive potential of cannabis is likely comparable to caffeine. Cannabis use can also cause withdrawal symptoms when abruptly stopped, including anger, aggression, decreased appetite, anxiety, restlessness, and sleep difficulties, including strange dreams. These symptoms emerge 1-2 days after cannabis cessation and resolve in 1-2 weeks. Most patients compare the severity of cannabis withdrawal to caffeine withdrawal. If you are wondering whether or not you are dependent or addicted to cannabis, ask yourself these questions: Is your cannabis use impairing your social, occupational, and/or recreational functioning in life? Do you use cannabis instead of meeting obligations in your life? Do you use so much that it leads to impairment in thinking or muscle coordination that leads to impaired functioning? Do you continue to use cannabis despite knowing it impairs your life functioning? Do you continue to use cannabis despite knowing that it worsens a physical or psychological problem? Because cannabis can impair reaction time and potentially lead to an accident, I recommend that patients avoid driving or operating other machinery while using cannabis, until you are confident in your response to a particular preparation and dosage. Unlike alcohol, people impaired by cannabis are usually aware of their impairment and are able to use their good judgment to avoid driving. There are no standard breath, urine or blood tests that can be used to determine cannabis intoxication, but an officer would administer roadside sobriety tests to determine if driving is impaired by cannabis. Little research has been conducted on the long term side effects of cannabis use, but our clinical experience has failed to demonstrate any concerning long term effects when cannabis is used correctly. Research has shown that cannabis does not cause any lasting cognitive impairment in adults – all cognitive function measures return to baseline after a month of cannabis cessation. Cannabis has been shown to both relieve the symptoms of bipolar disorder, and to increase the risk of developing bipolar mania – again, dosage and strain selection are the key factors in this bidirectional effect. There is scant evidence that cannabis use is associated with (but not causative of) psychosis, but the incidence is very low: 1 case in 2,800 heavy cannabis using men age 20-24 (the highest risk group), and only 1 case in 10,000 light cannabis users in the same age group. Again, this data emphasizes the importance of finding your optimal dose. In our clinic, the most common adverse effects are related to consuming cannabis edibles. If you do accidentally overdose on cannabis, be reassured – even incredibly high doses of cannabis fail to produce brain damage, organ damage, or other types of physical toxicity, though they can cause delirium and hallucinations, which can be quite uncomfortable. Just remember these effects will pass, usually within 4-24 hours. If you find yourself in this unfortunate situation, the best strategy is to get yourself into a peaceful environment, and if available, you can use a cannabis antidote such as citrus fruit (especially the zest and the pulp) and CBD-dominant (low-THC) cannabis.